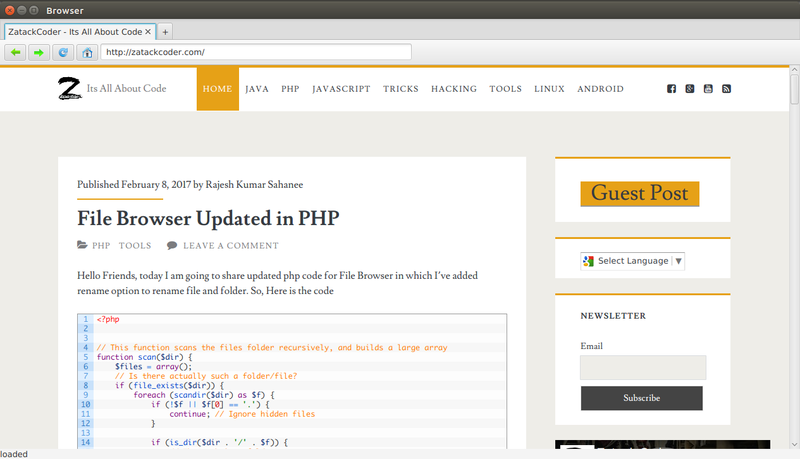 Hello Friends Today I am going to show you how to create Browser using JavaFX. This browser does not stores your browsing history. It is just a basic feature browser in which you can browse, go back, go forward, reload, you can open multiple tabs so that you can browse multiple site at a time. But you can reuse this code to develop your own advanced featured browser. By studying this code you can also learn about how to use WebView.